Parenting Seminars held at your school or church! Do your parents need help navigating the ropes of parenting responsible, respectful and resourceful children in this postmodern world? I have just the resource for you! I offer three 90 minute seminars that are available as lunch and learn or evening sessions. The workshops are interactive and cover the following topics: discipline, nutrition, and early literacy skills. The Literacy skills workshop is very similar to the Reading is Fundamental teacher's professional development workshop approved by Bright from the Start: Georgia Department of Early Care and Learning. As a former principal, I am aware of the concerns that can make your job difficult. Parents will learn key developmental milestones to look for and know when to seek professional assistance. They will also be equipped with tools and resources which will support your program's efforts to provide a high quality learning experience for their child. The Center for Child Well-being (CCW) developed this state-approved workshop to promote the optimal social, emotional, and behavioral development of young children. This interactive parenting workshop is designed to help parents of children from birth through 6 years to enhance their young child’s development. This session concentrates on ways to discipline children successfully in a positive way according to their age and level of development. The session goes into detail about different disciplining techniques and appropriate and inappropriate uses, including time outs, setting limits, spanking, handling temper tantrums, and improving communication with your child. Parents will have an opportunity to discuss different discipline scenarios and ways to react to each. They will go home with many tools for making discipline a less stressful and more positive experience. Adults influence the development of children’s healthy habits beginning in their earliest years, from the variety of foods they try, to ideas about to how to keep their bodies active and healthy. By the time a child is between two and four years old, their eating habits are largely shaped. If he/she reaches the age of five without learning about healthy eating, the chances of him/her developing poor nutritional habits, and attitudes are significantly increased. The causes of childhood obesity, the importance of family meals, United States Department of Agriculture nutrition guidelines, and prevention of childhood disease are just some of the topics covered in this workshop where parents will be able to set personal goals and discuss. This workshop offers simple strategies to help parents and caregivers instill healthy behaviors in children and ensure that they grow into strong adults. A child's success as a reader begins much earlier than the first day of school. Listening to adult speech gives the children a model of behavior and a model of language [e.g the structure as well as the vocabulary of the language to be learned]. Deprived of the chance to hear language spoken, children lose the capacity to learn to speak or read. Young children deprived of certain minimum social and linguistic interaction are likely to show deficiencies that sometimes prevent normal language development. Reading, and a love for reading, begins at home. Parents who read to their children every day and talk about what they are reading together promote a joy of reading, enhance language development and literacy achievement. This workshop provides information which reflects what we know about instructional and parenting practices that build a foundation for literacy in the formative years between infancy and eight years of age. Young children are like sponges. Every day they learn skills that will help them become readers. Infants, toddlers, primary, and school age children need assistance in gaining awareness of books and print and learning about sounds and letters. Parents play a critical role in promoting literacy, preventing reading difficulties, and preparing young children for school success. Each family will receive a literacy bag to share with their child. 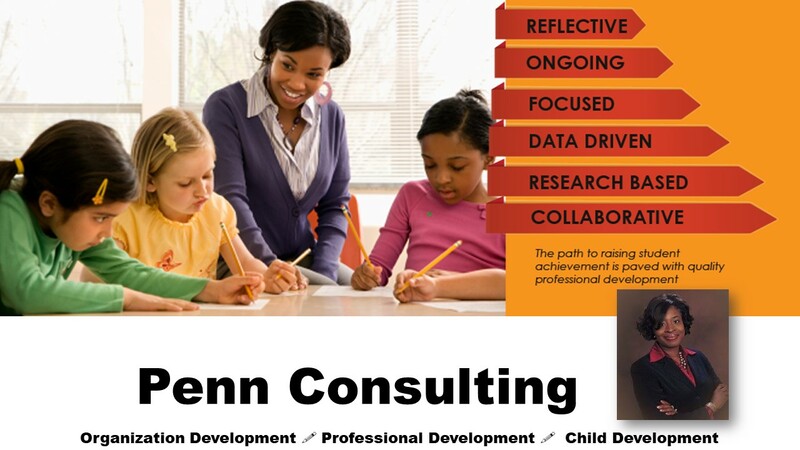 Althea Penn has a passion for early childhood education and enjoys working with children. She has over twenty years of experience in education serving as a teacher, director and principal. Mrs. Penn has earned a Masters degree in Education Administration, an undergraduate degree in Organizational Leadership, certification as an Early Childhood Educator and the National Administrator Credential. This well-rounded background equips her to share with fellow educators and parents, as she regularly conducts high quality early childhood professional development seminars and workshops throughout the Southeastern United States. She is an inspirational communicator and serves as a featured conference speaker for The Georgia Preschool Association, Kid’s Advocacy Coalition, Quality Care for Children, and other organizations which share her passion for children. Mrs. Penn is married to her best friend and high school sweetheart. They are the parents of two beautiful daughters who have also become certified educators. You can usually find her curled up with her grandson and a Dr. Seuss book. Raising Spiritual Champions - This informative parenting workshop is designed to help parents enhance their child’s spiritual formation. We will identify ways to biblically discipline children in a positive way according to their age, personality style, learning style, and level of development. The session goes into detail about different disciplining techniques and appropriate and inappropriate uses, including time outs, setting limits, spanking, handling temper tantrums, improving communication and cultivating your child's confidence. Parents will have an opportunity to discuss different discipline scenarios and ways to react to each. They will go home with many tools for making discipline a less stressful and more positive experience. Pre-registration required. The cost is $5/person for pre-registered participants. Minimum of 20 participants-Registered 14 business days in advance and $10 for walk-ins.